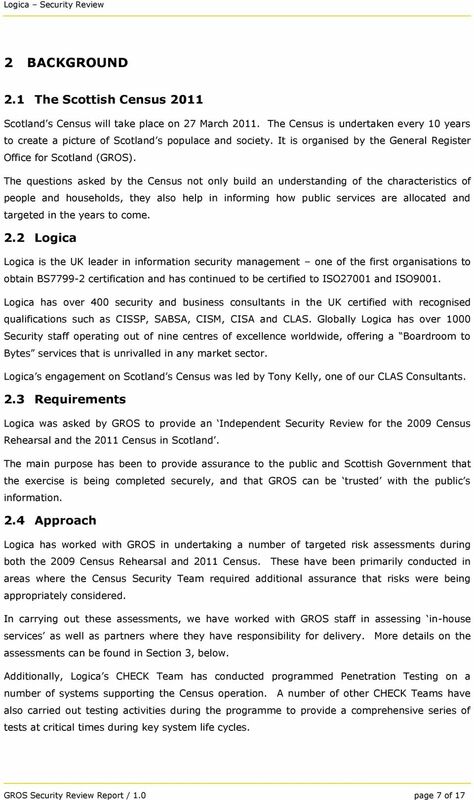 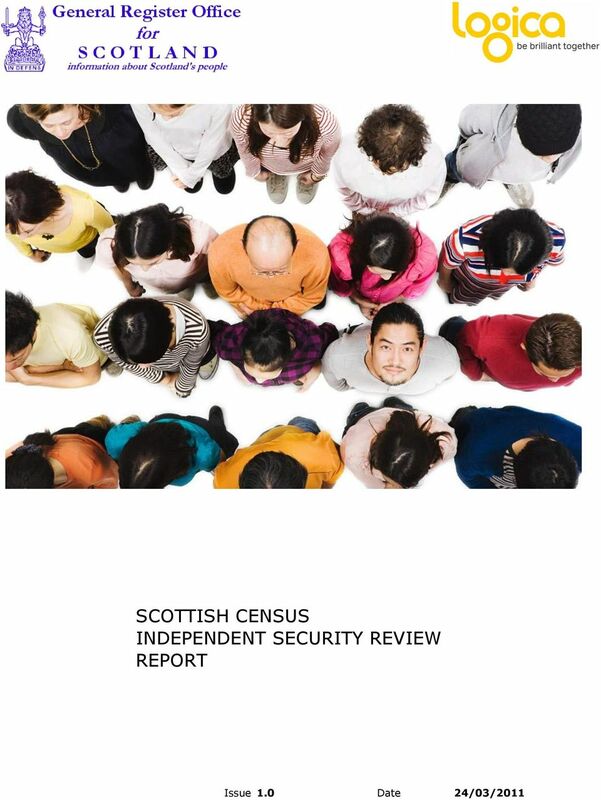 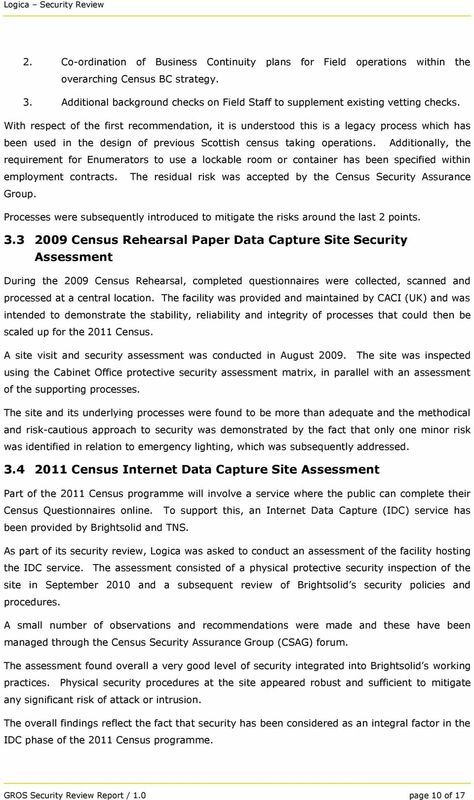 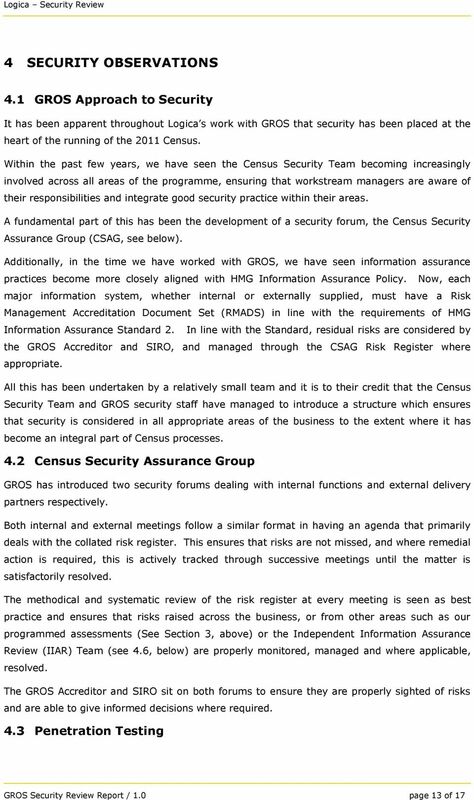 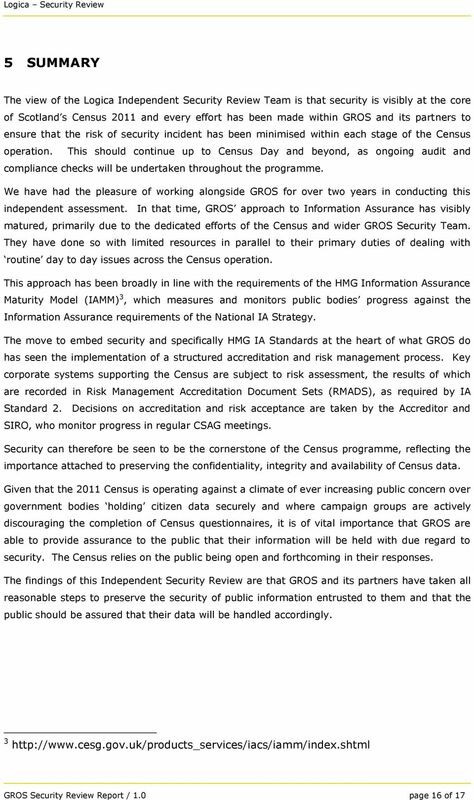 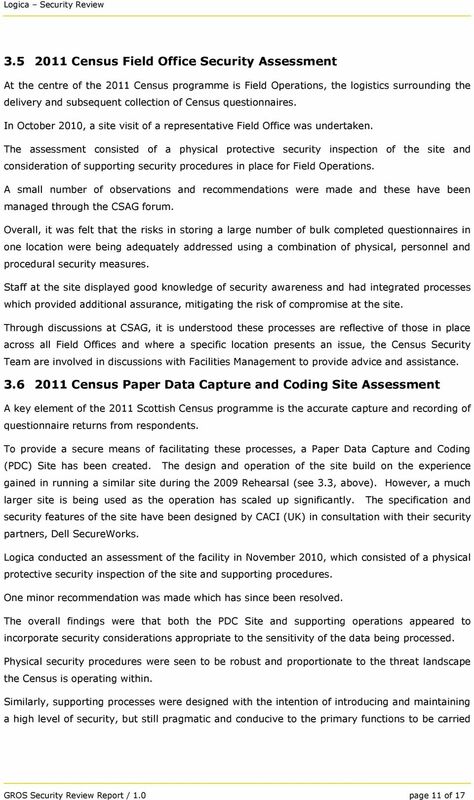 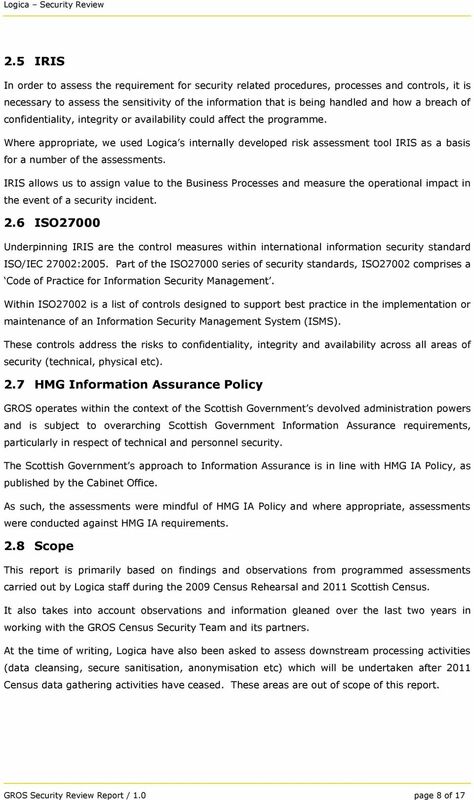 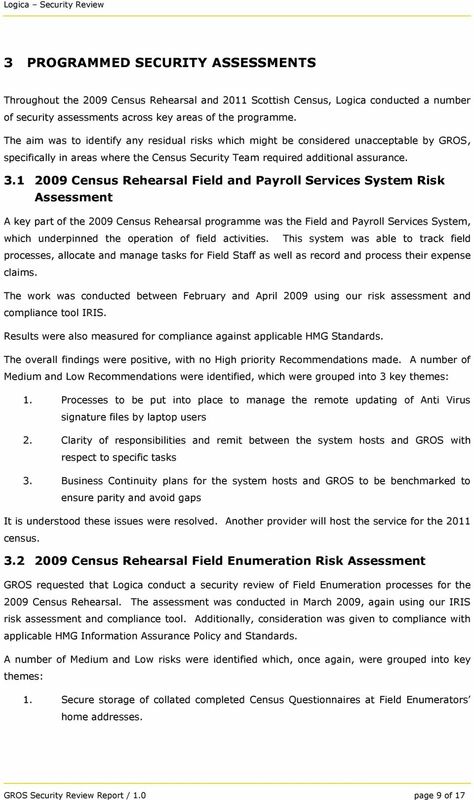 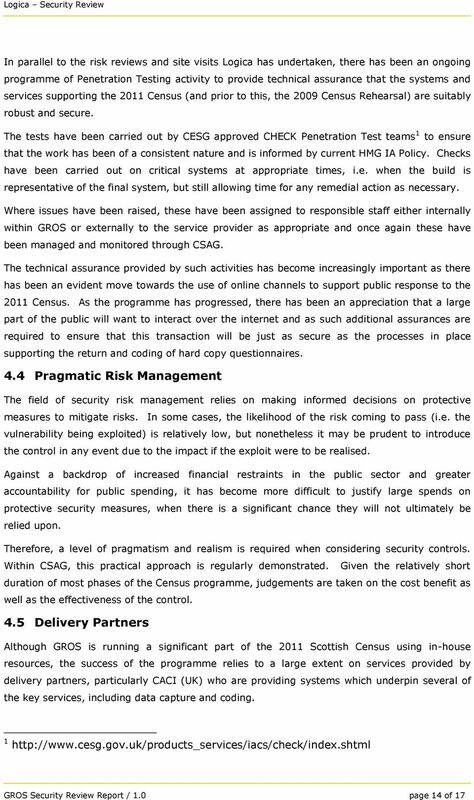 Download "SCOTTISH CENSUS INDEPENDENT SECURITY REVIEW REPORT"
2 Logica is a business and technology service company, employing 39,000 people. 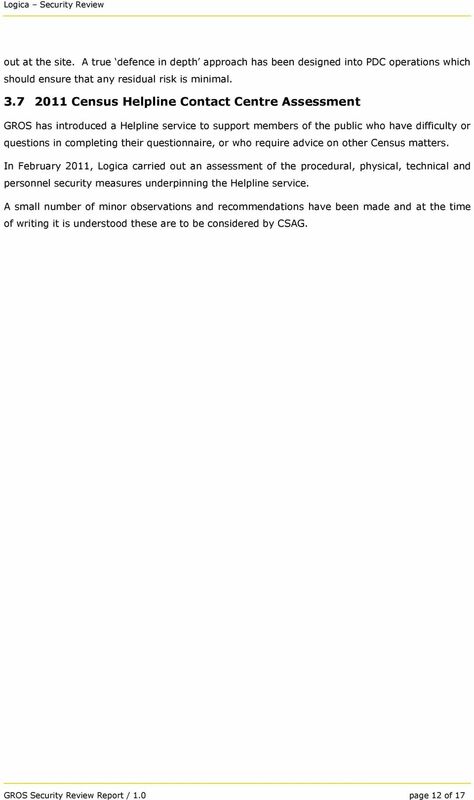 It provides business consulting, systems integration and outsourcing to clients around the world, including many of Europe's largest businesses. 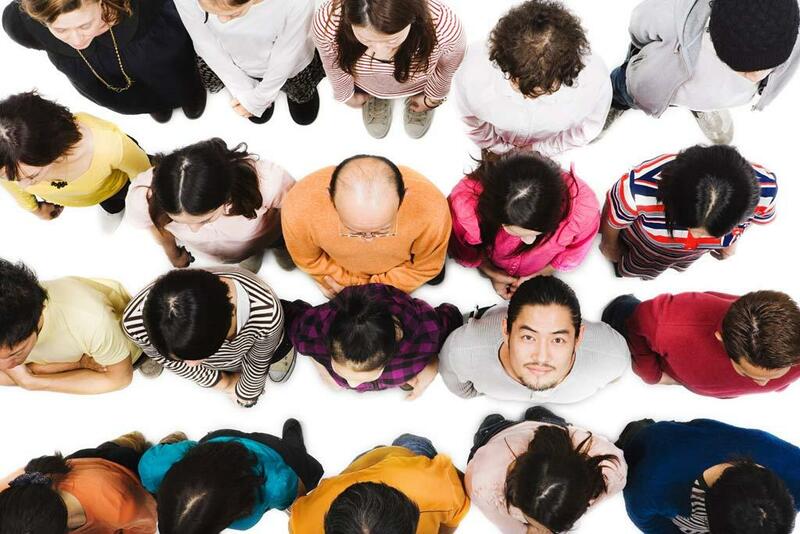 Logica creates value for clients by successfully integrating people, business and technology. 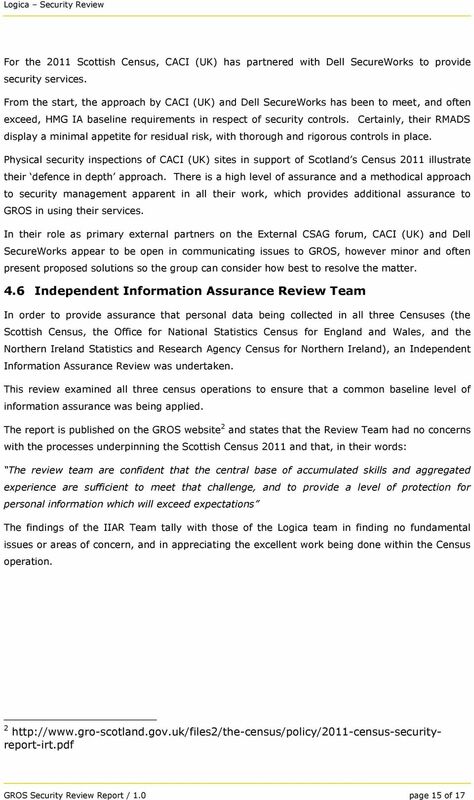 It is committed to long term collaboration, applying insight to create innovative answers to clients business needs. 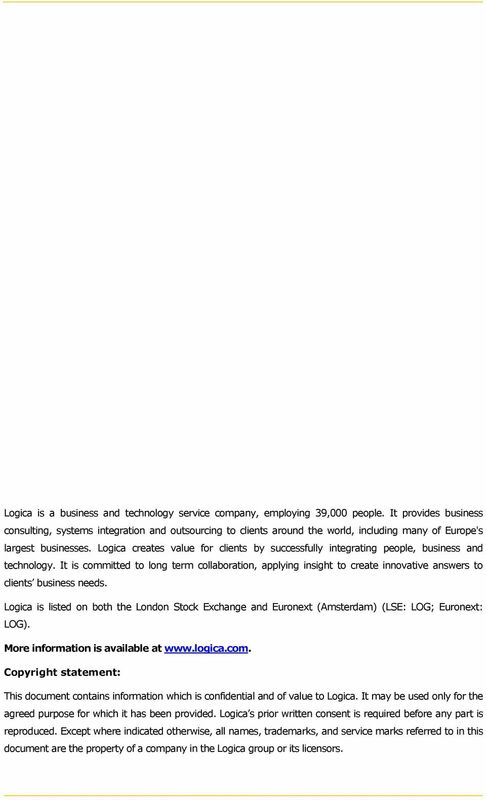 Logica is listed on both the London Stock Exchange and Euronext (Amsterdam) (LSE: LOG; Euronext: LOG). 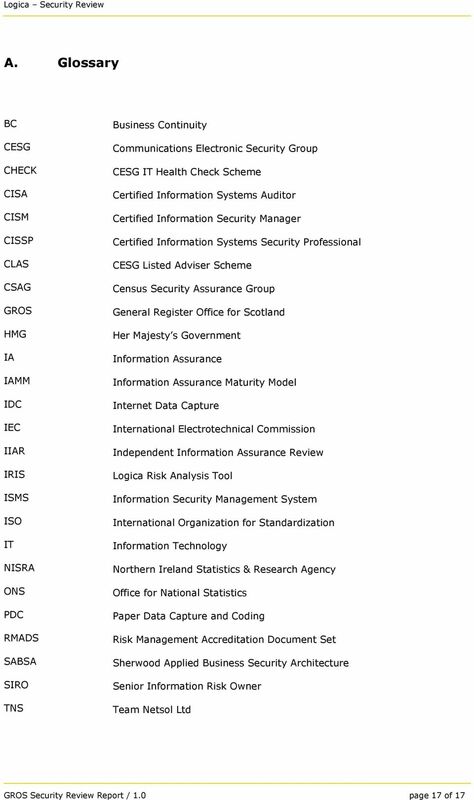 More information is available at Copyright statement: This document contains information which is confidential and of value to Logica. 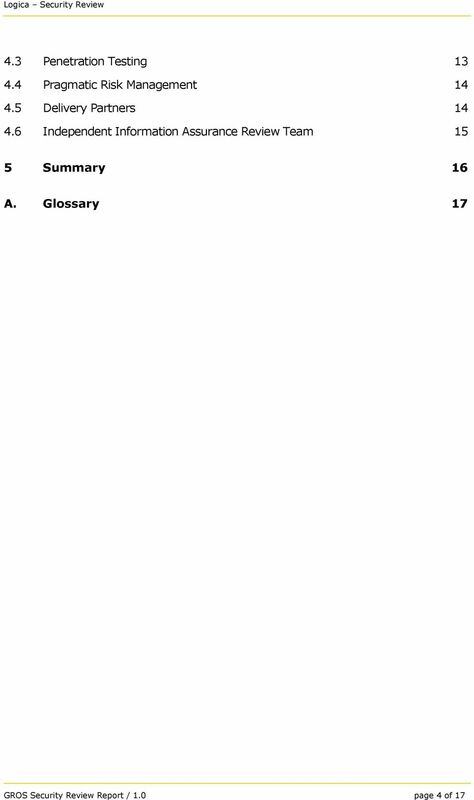 It may be used only for the agreed purpose for which it has been provided. 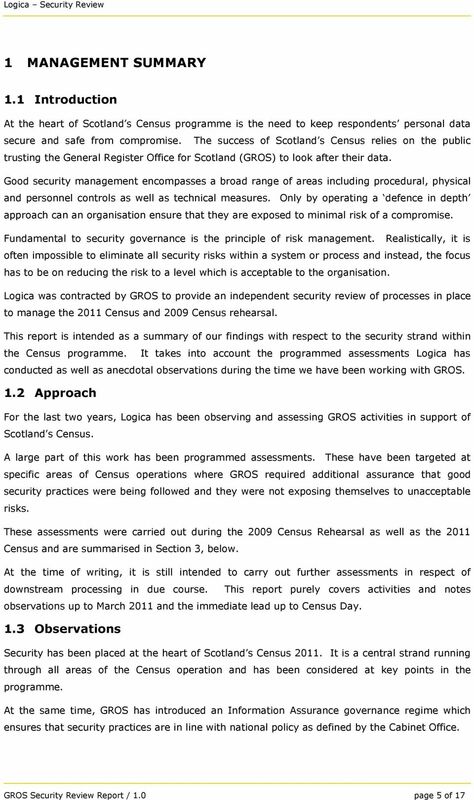 Logica s prior written consent is required before any part is reproduced. 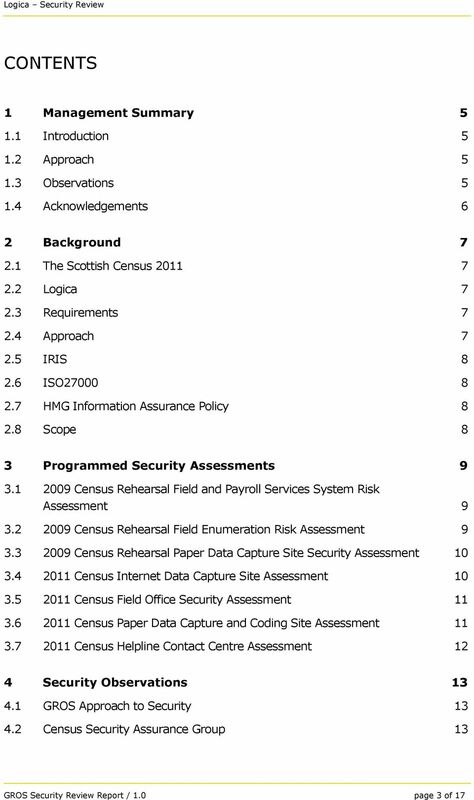 Except where indicated otherwise, all names, trademarks, and service marks referred to in this document are the property of a company in the Logica group or its licensors.